The people of Beverly Hills, CA hold their cosmetic dental health services to a high standard of beauty. Art of Dentistry Institute aims to meet that standard by providing the most attentive care with a full range of cosmetic and general dental health services. Do you have movie star aspirations for your smile? The best cosmetic dentist Beverly Hills offers can help you get a smile that shines! At Art of Dentistry Institute, we offer age-defying cosmetic and general dentistry services to meet your unique needs. 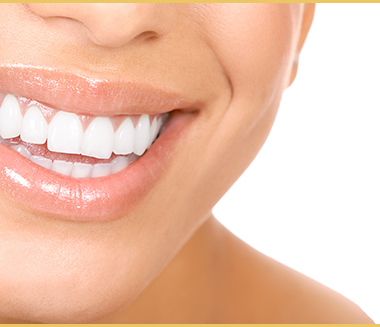 Smile brighter with our esthetic dental services. Chairside Porcelain Veneers and teeth whitening procedures polish your teeth and make them shine to help you achieve your ideal smile. We specialize in smile makeovers that enhance your teeth, mouth, and jaw while bringing balance and symmetry to your face. By carefully evaluating your smile’s length, fullness, and other factors, you are able to bring out the best of what you already have. When regular teeth cleaning simply is not enough, you can rely on Art of Dentistry Institute for general dental health services. Pair your routine dental hygiene sessions with preventative care to avoid future problems, or restore your smile to its natural shape and sheen with dental implants, fillings, bonding, onlays, and crowns. Your smile is one of a kind, and it requires not only care but professional skill. We offer cosmetic and general dental health services to reflect our dedication to providing you with a beautiful smile. We also have orthodontic, periodontic, and oral surgery services at our location for your convenience, so can fulfill your every need. Art of Dentistry Institute is headed by Dr. Emil Hawary, one of only sixty dentists worldwide to have achieved Accredited Fellow status with the American Academy of Cosmetic Dentistry (AACD), an organization that seeks to recognize and commend dental excellence. His passion for dental health, combined with his numerous awards and experience, have made him a renowned Beverly Hills dentist. 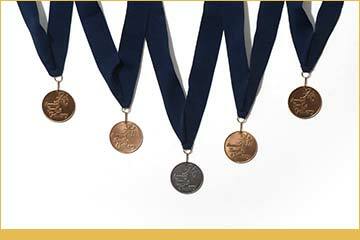 His work has also been featured in top dental journals as hallmarks of his craft. 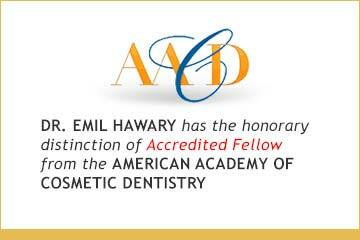 Dr. Hawary underwent a rigorous examination for numerous dental cases in order to become an Accredited Fellow of the AACD. Now you too can view his work on our Smile Gallery. 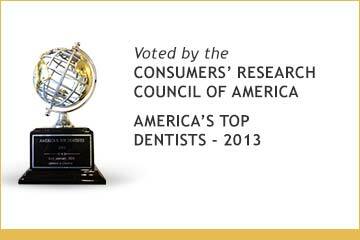 See for yourself what makes Dr. Hawary and the Art of Dentistry Institute the clear choice when choosing a dentist in Beverly Hills.